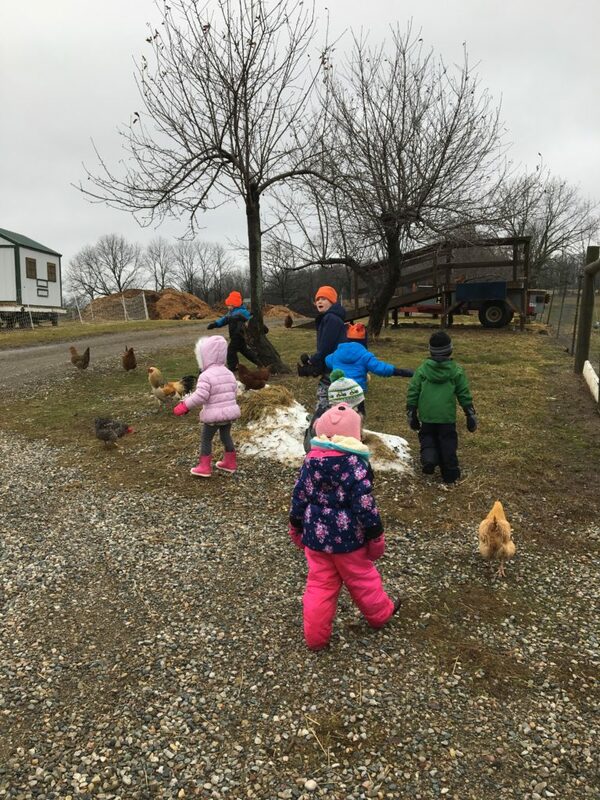 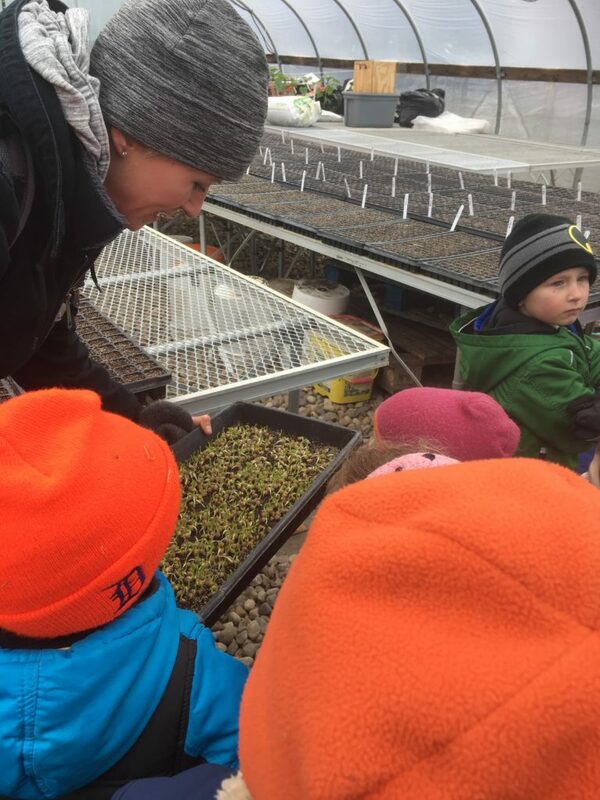 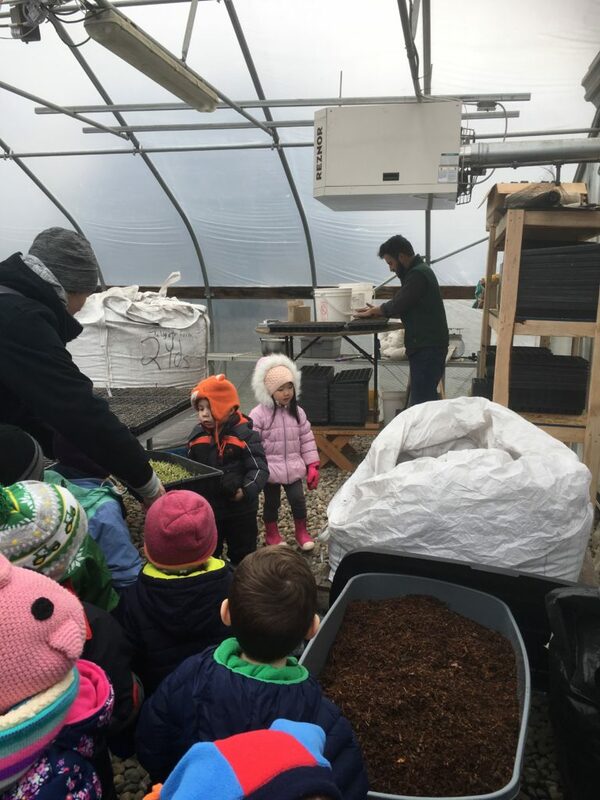 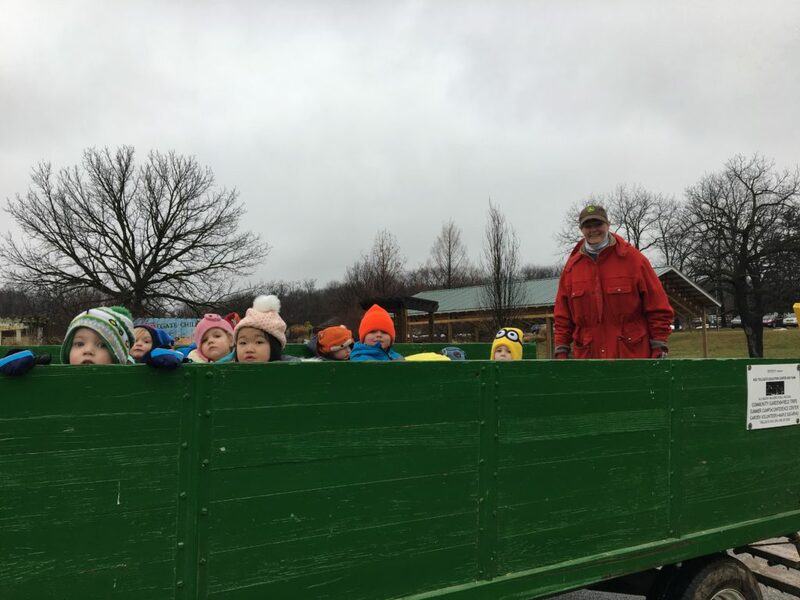 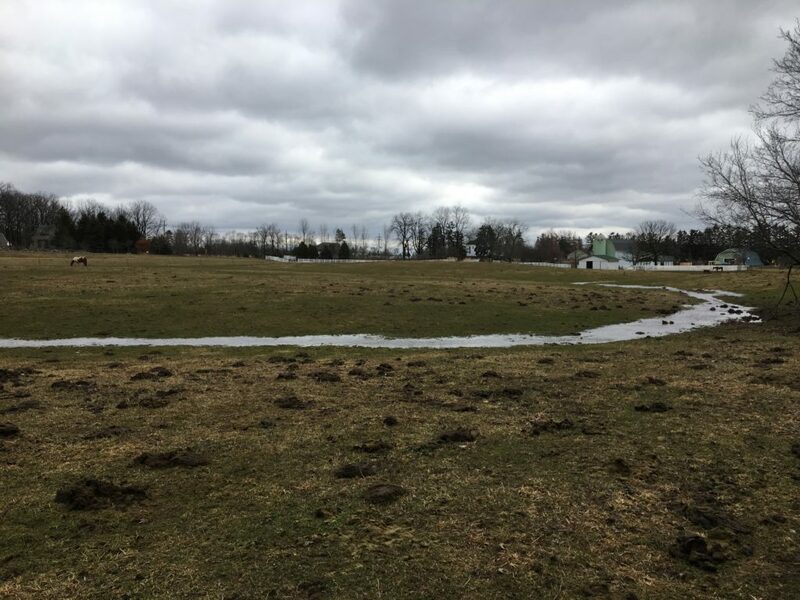 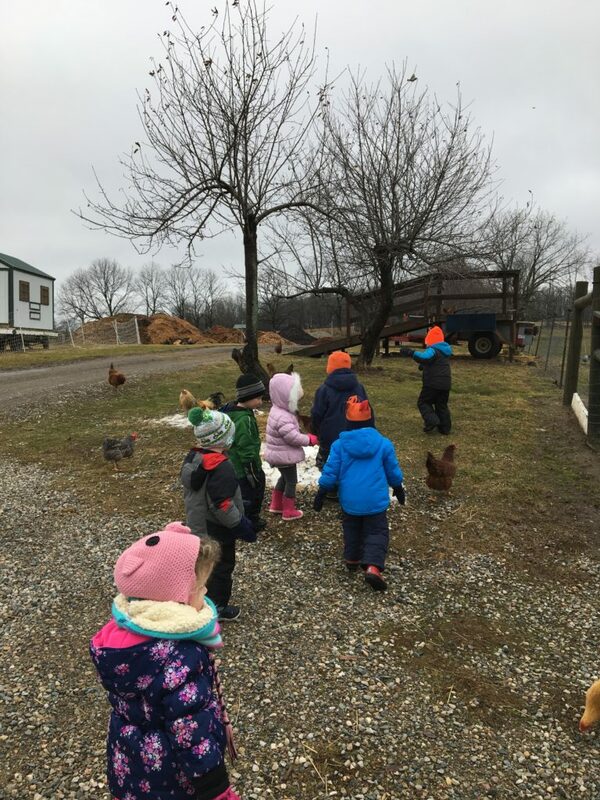 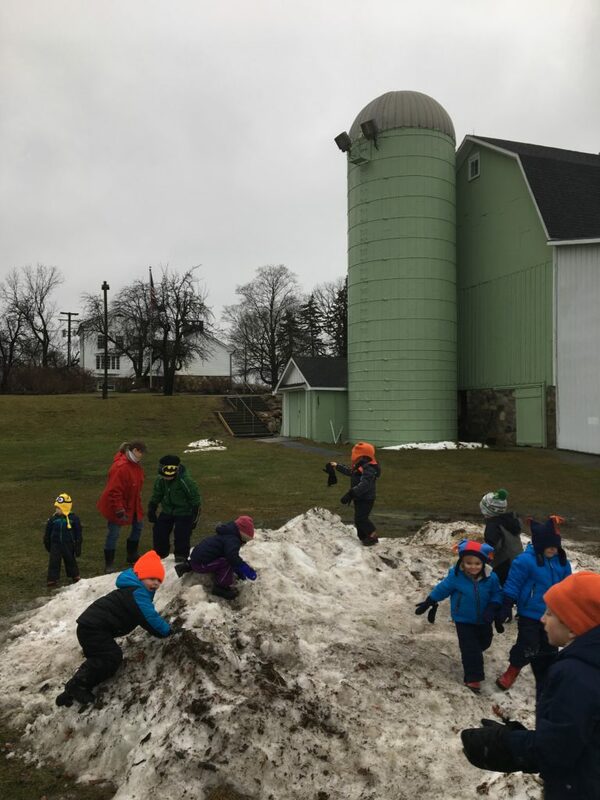 Our journey to the sugar bush included a stop to splash in puddles and to climb the “snow mountain.” We rode on the wagon behind the tractor out to the forest, taking in the expanse of the farm and spotting the farm animals who call it home. 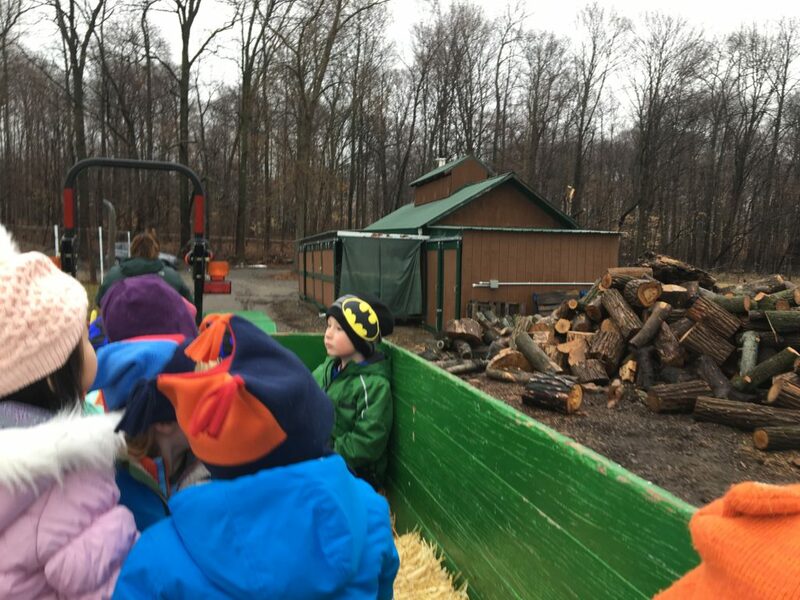 As we approached the forest, we spotted the sugar shack, with piles of wood stacked up both inside and outside. 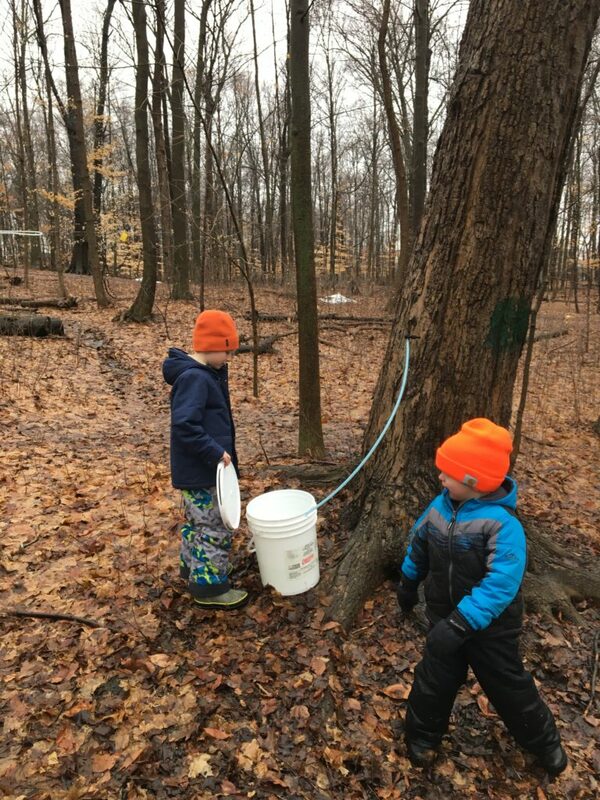 The morning group had the good fortune of stumbling on our hard working maple sugaring volunteers bringing in sap to be stored in the containers, repurposed from their days of holding milk. 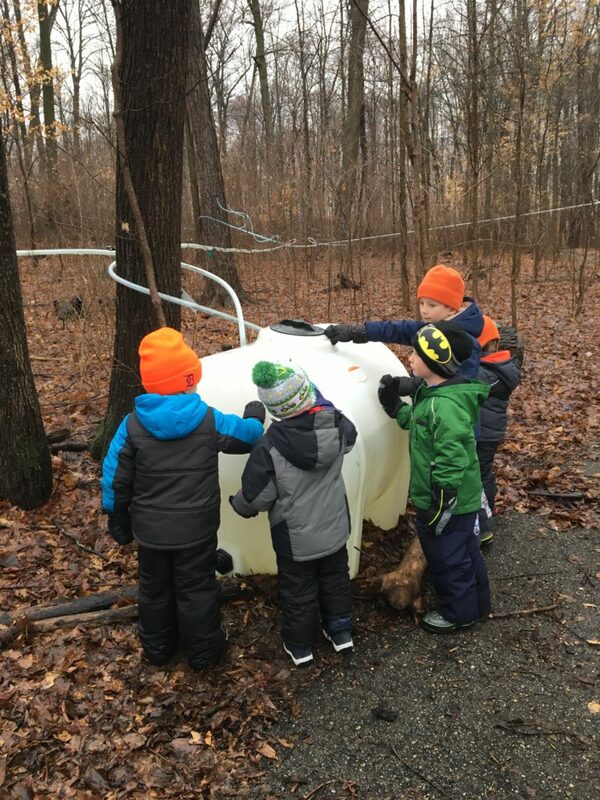 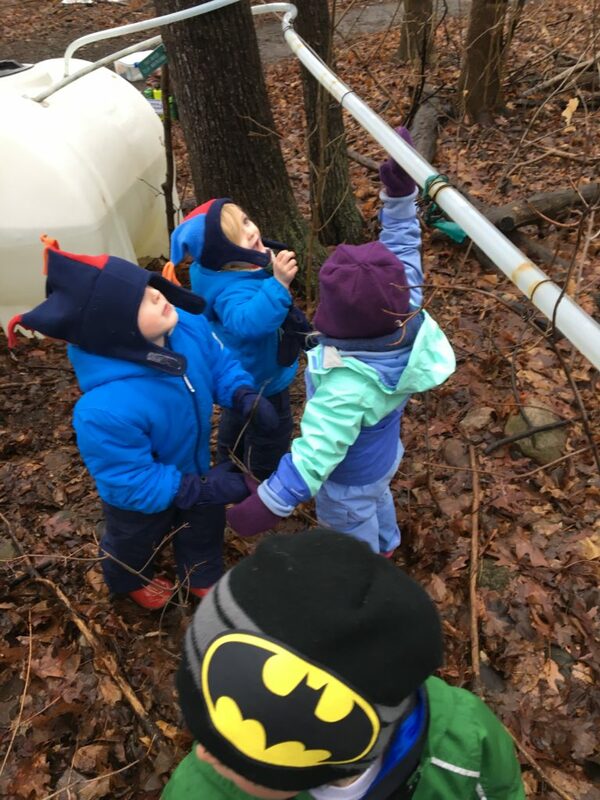 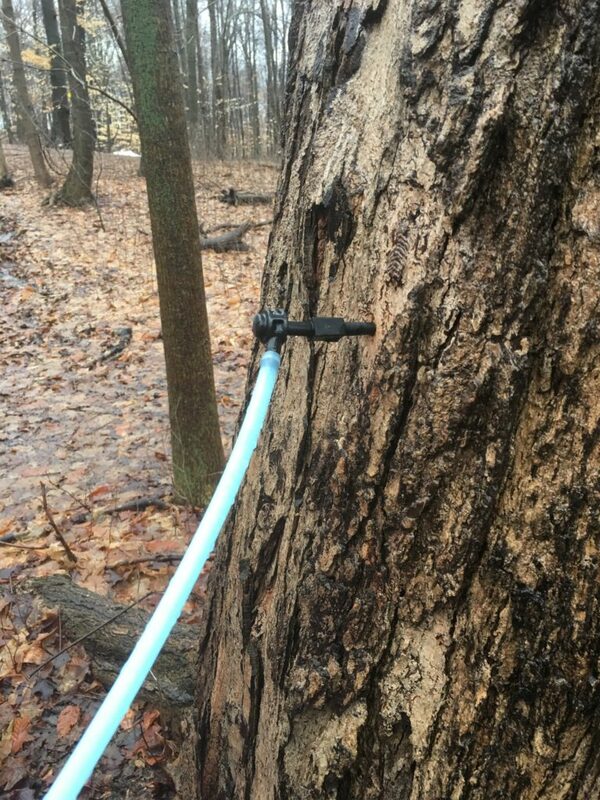 We observed them use a pump to move the sap up into the containers so that gravity could take the sap through the pipes into the sugar shack. 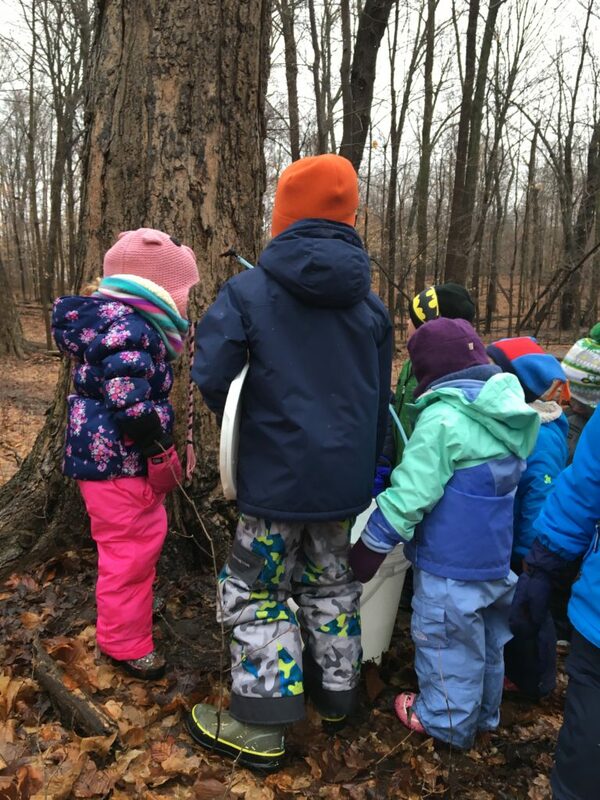 It was then time to figure out how to identify a sugar maple tree versus a beech tree (our forest is composed of mostly sugar maples and beech trees), make observations of what happens in a sugar bush, and begin to figure out what sap is and how we can collect it from a tree. 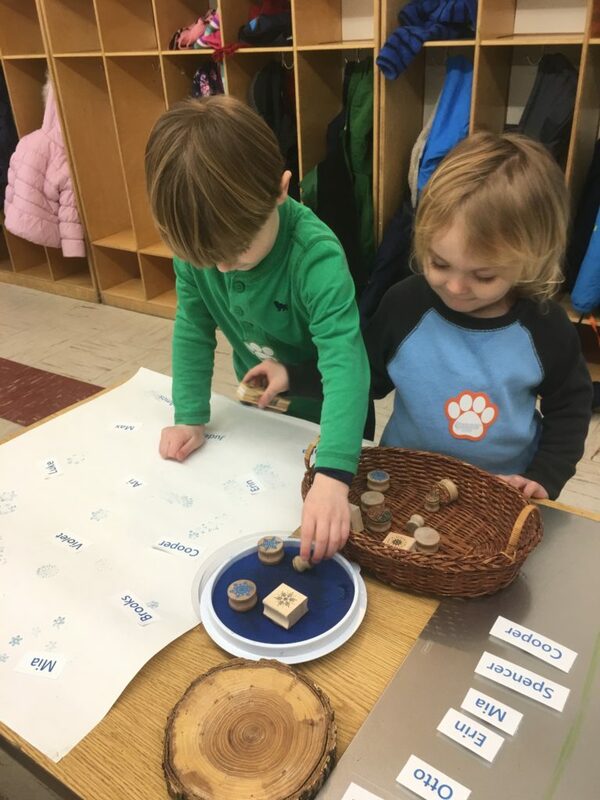 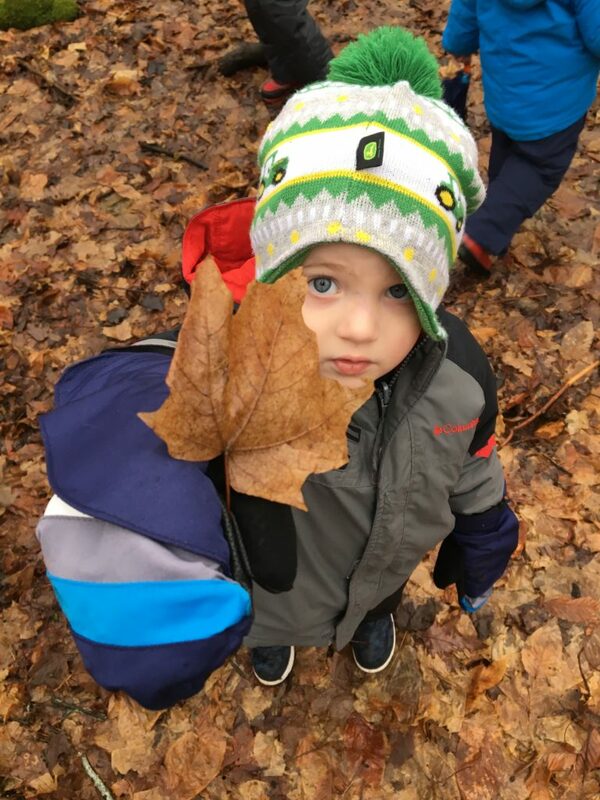 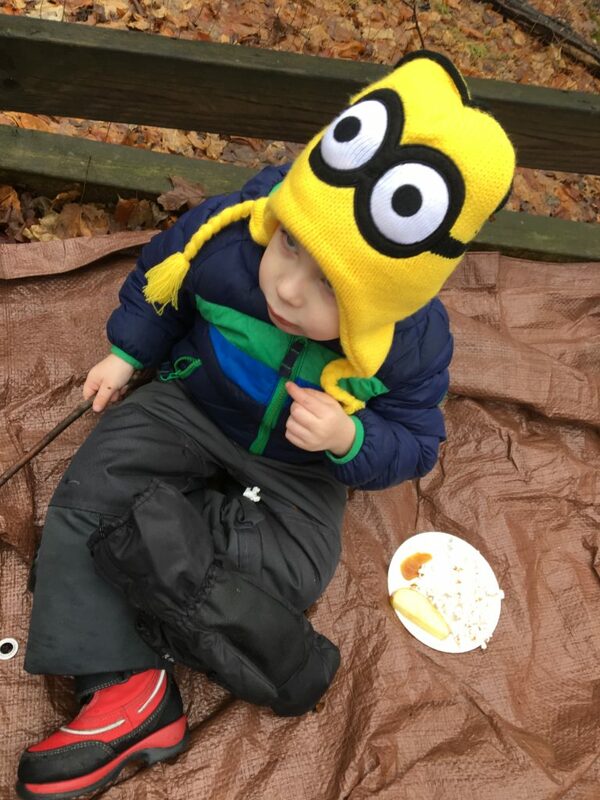 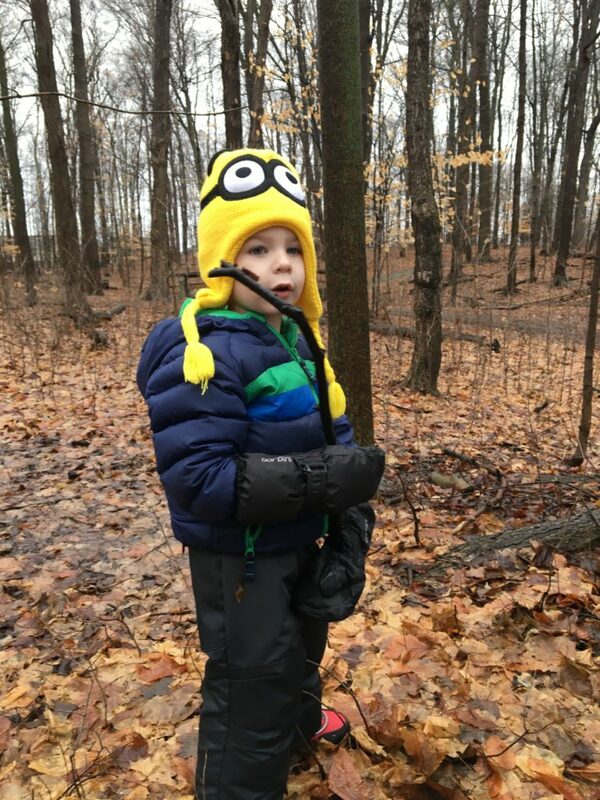 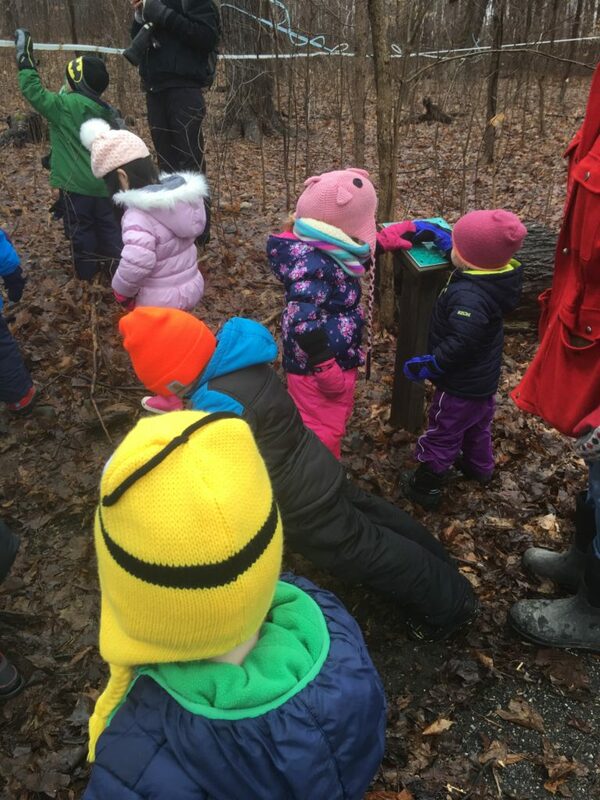 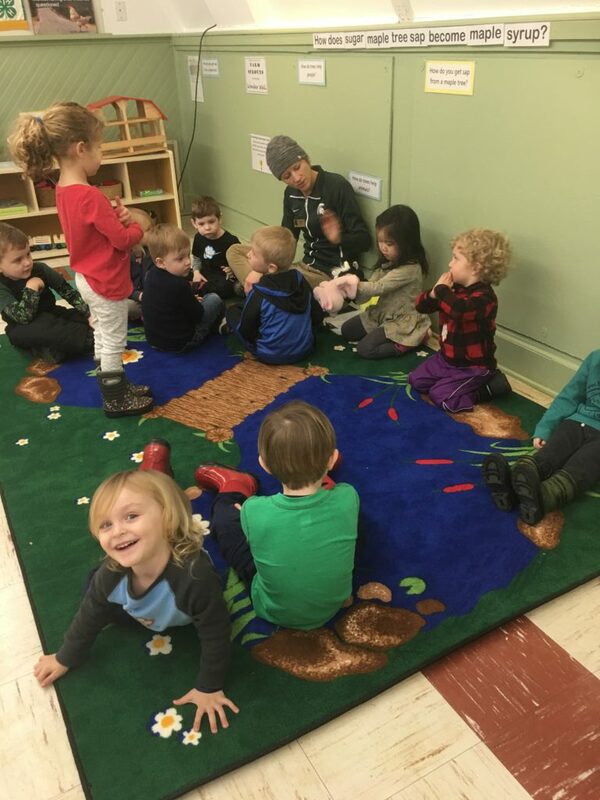 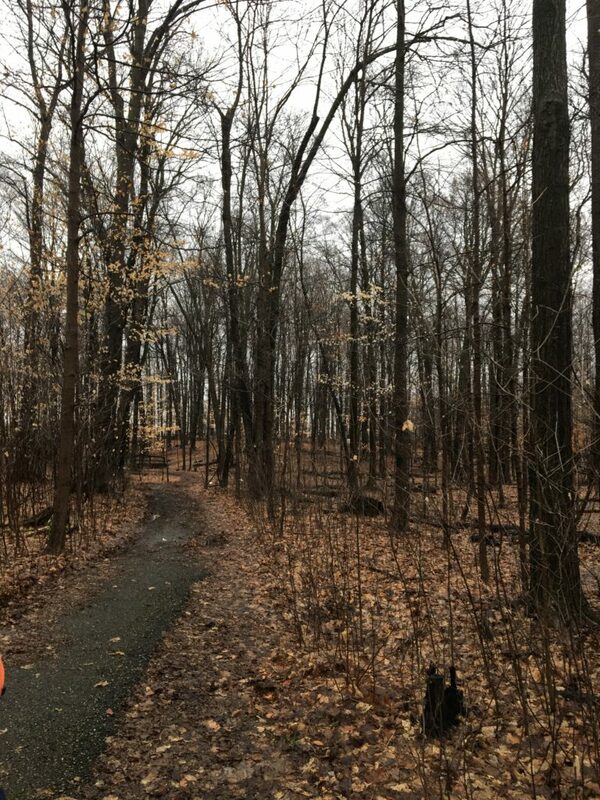 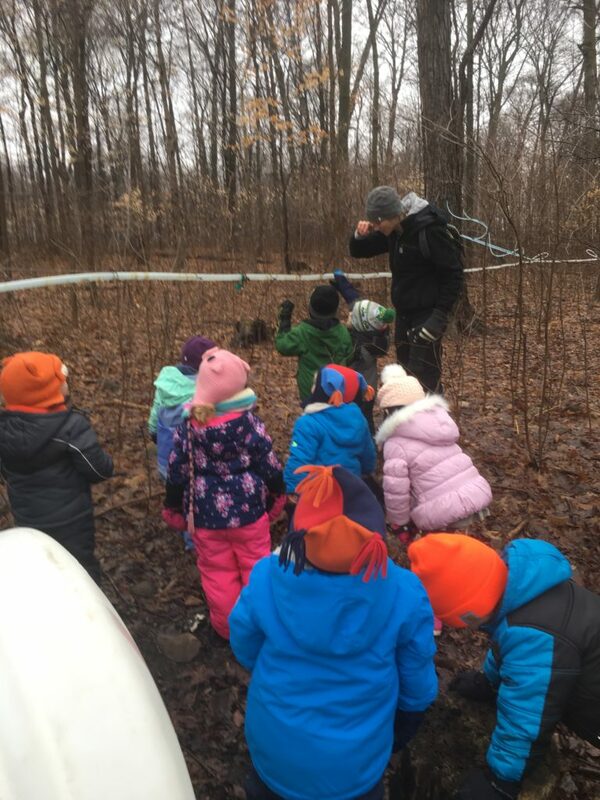 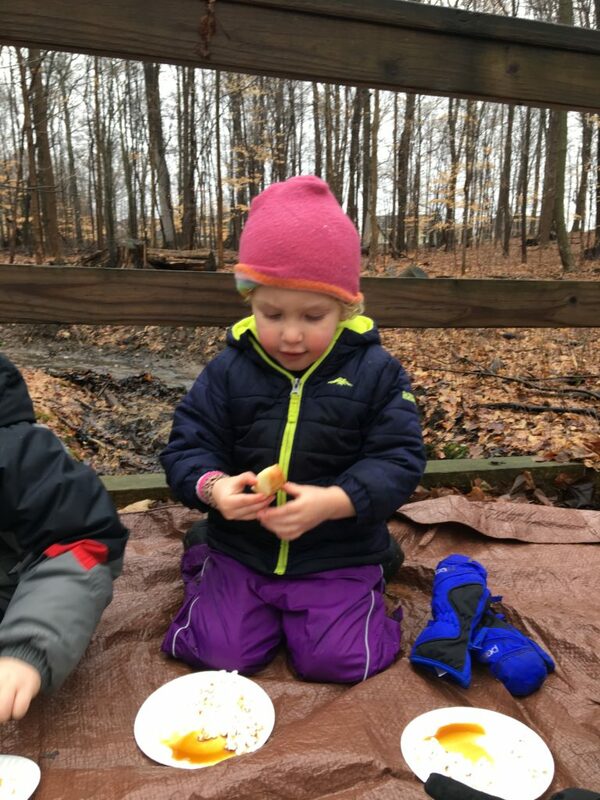 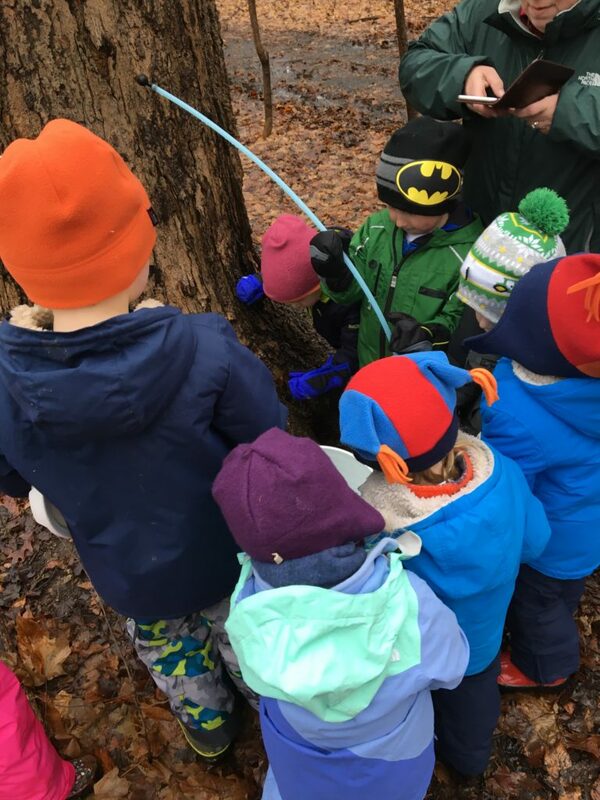 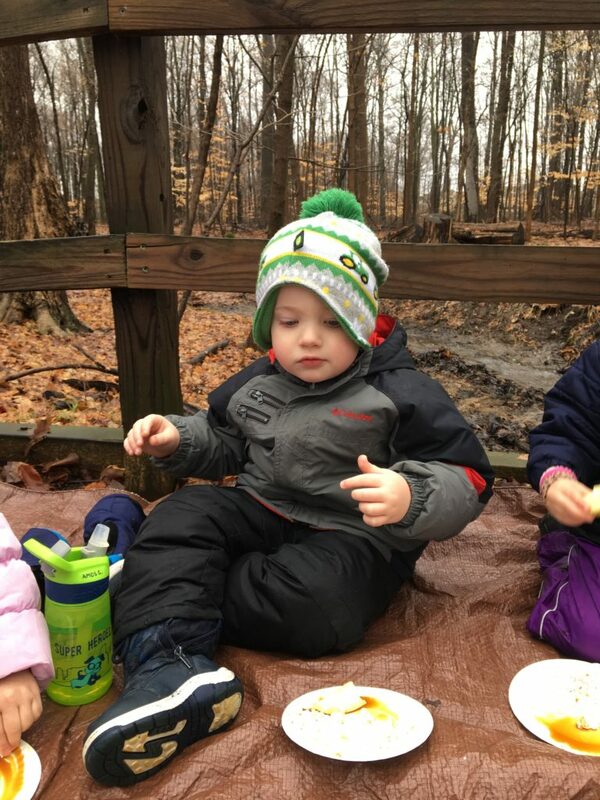 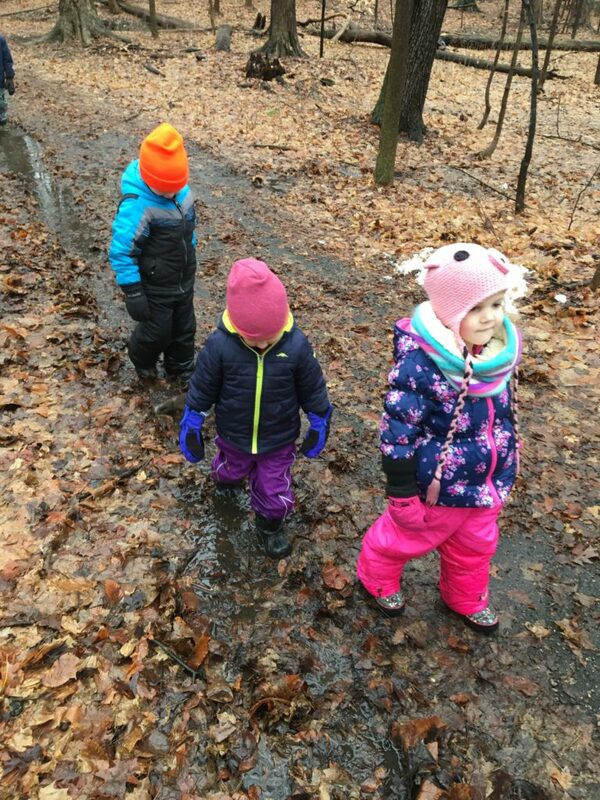 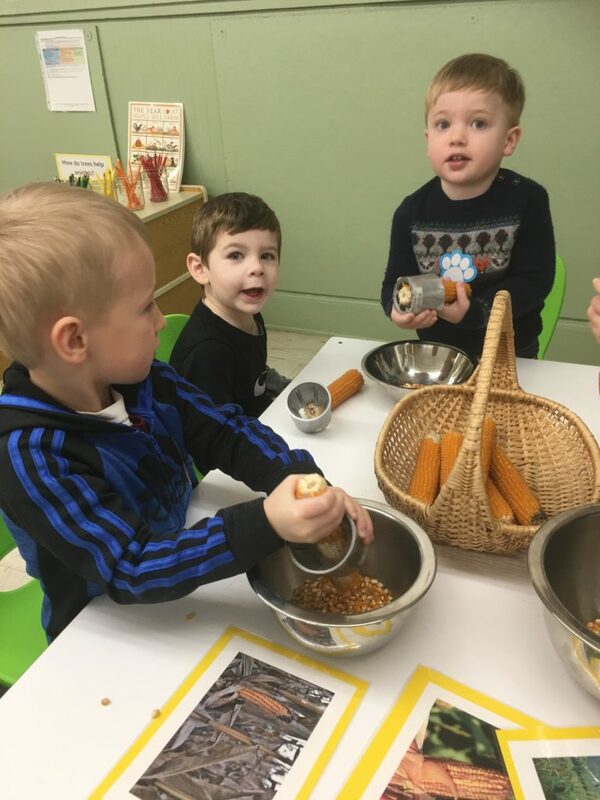 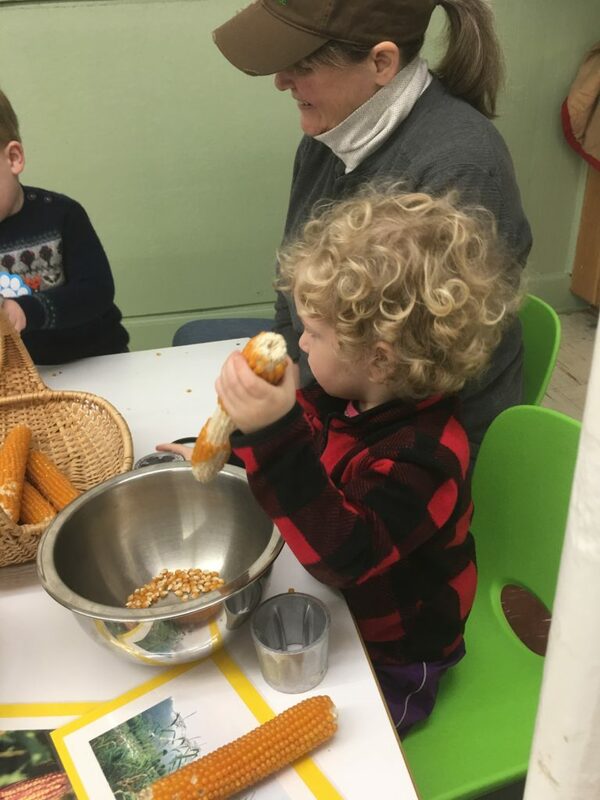 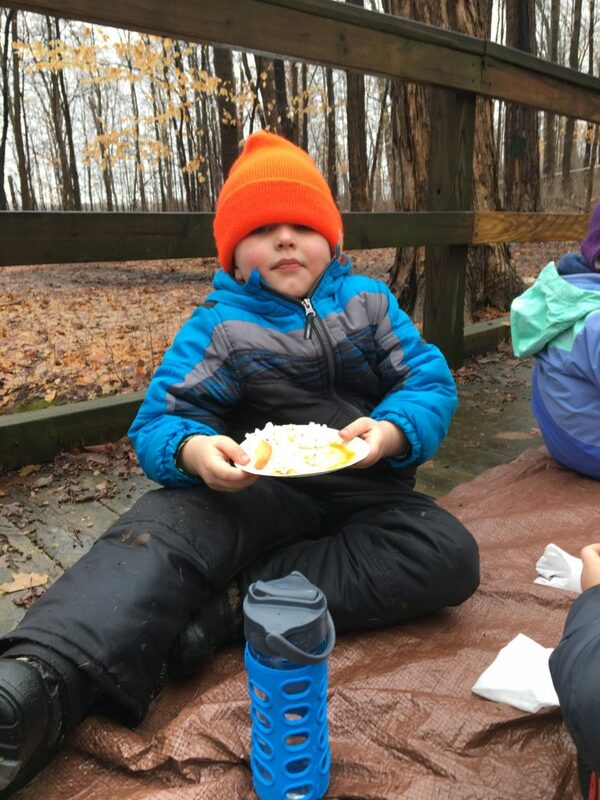 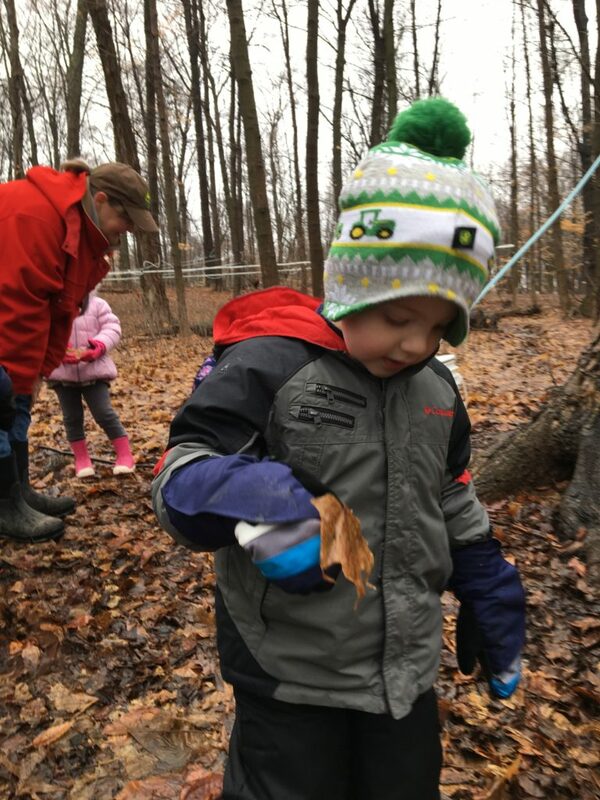 Forest activities included collecting leaves and identifying sugar maple versus beech leaves, jumping in puddles, discovering holes and nests in trees made by animals, balancing on logs, and playing with sticks. 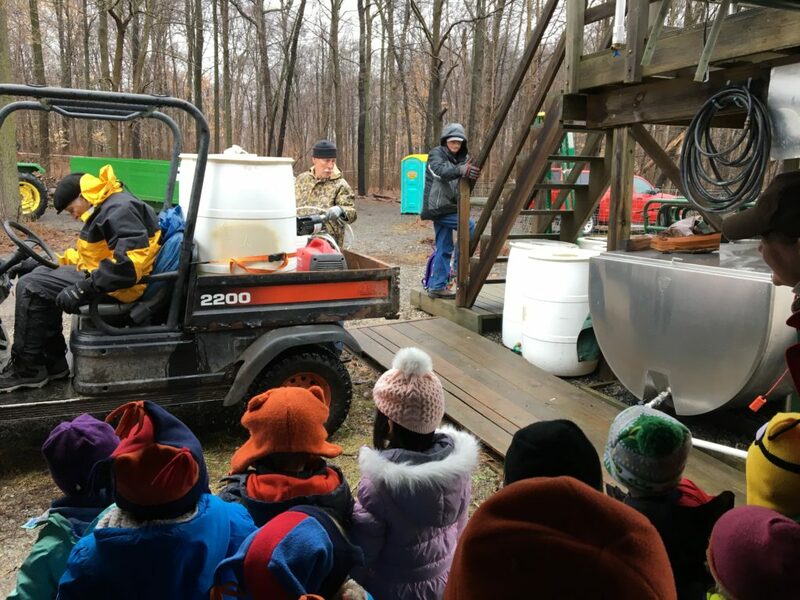 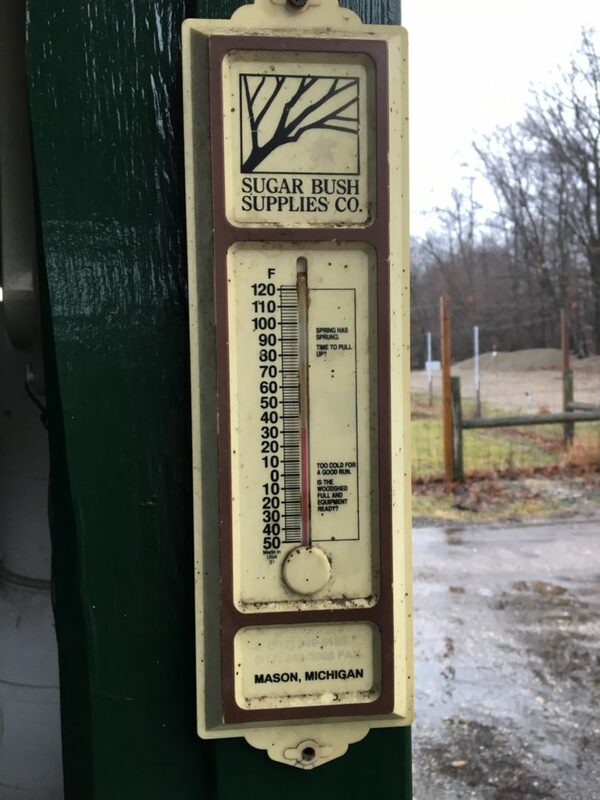 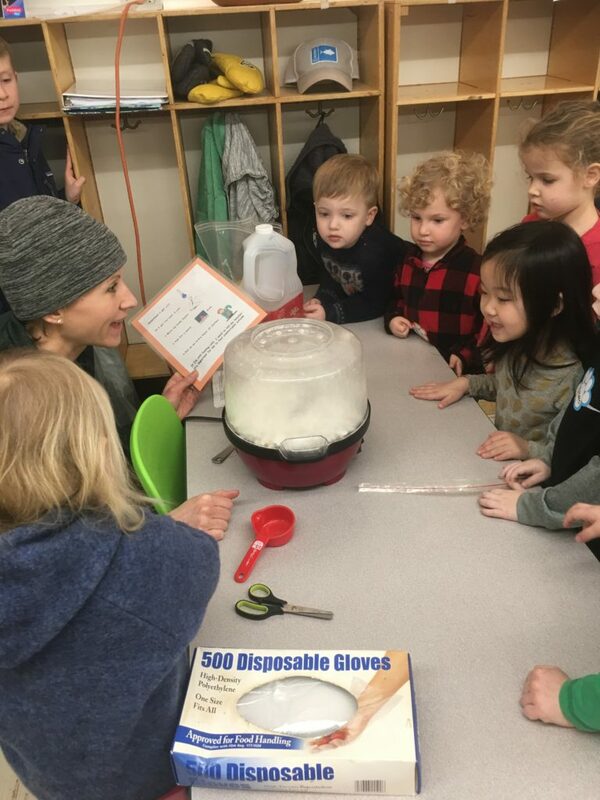 We noted the tanks, tubes, and buckets that make the sugar bush special, all filling with the clear liquid that appears to be water, but which figured out was sap. 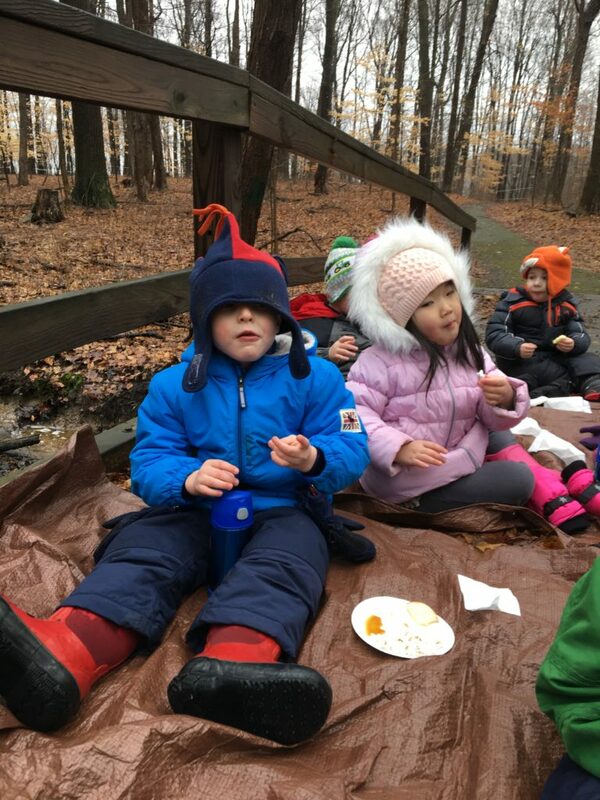 For our sugar bush snack, we rested in our gathering place on the bridge and enjoyed our popcorn with syrup and sliced, organic apples as we observed the water gushing along the stream.